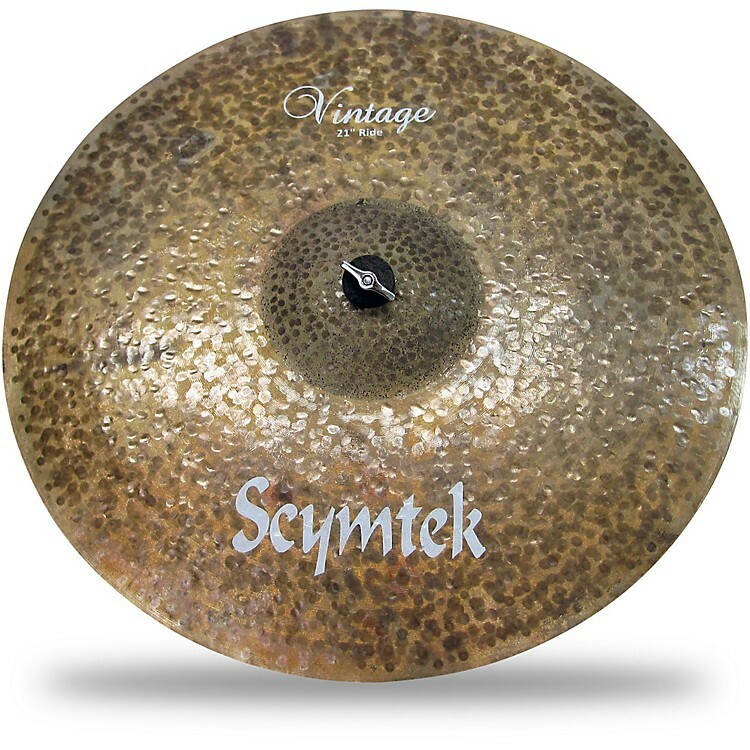 Scymtek Cymbals Vintage Ride Cymbal 21 in. Dry, dark and articulate for a truly vintage sound. The Vintage Series is a great choice for those seeking lush warm tones with increased stick definition. A perfect blend of high-definition sticking with just the right amount of warm undertones. Great for jazz, funk, R&B and studio. Unlathed, with aggressive hammering and a raw finish, all work together seamlessly to create the dark, dry, articulate voice of the Vintage Series.